This is a mod I originally created to fix a few "issues" myself, my wife and some friends felt the game had. Turns out I really enjoy modding so I've expanded on it quite a bit. The intent is to drag out the early game, so it will take you longer than usual to get to Iron and Steel. I've also tried to inject a little realism by locking away quite a few recipes behind perks, since most normal folks wouldn't know how to do/make those things. Also, I started playing in Alpha 8, so I wanted to try and bring back a few things from that era. Hub city, sharp rocks and sticks are pretty good examples, and I want to try and incorporate more features from that era of gameplay. I will also be trying to add in new zombies/enemies to make the "end game" more difficult. 8 Classes to choose from, with 6 quests each! 60 slot backpack! 12 slot crafting queue! Custom UI! Food/Water bars next to the hotbar. Zombie Behemoth (male and female) added! Scrap Iron Tools added. Iron requires level 15. Titanium added! Can be found as trophies, underground and above ground. Used to make tools, weapons and blocks. Wrench is now a perk and a schematic, but crafted and repaired with Iron. All common books added as perks, so you have the choice of finding the book or spending points. Skill books added for all 100 level skills. Generic skill point book added so you have ways to get skill points. Skill notes! Find a recipe you already have? Scrap it into a skill note and craft that into something more useful. Extra crops! Grow apple, orange banana and coconut trees, plus wheat, carrots and tomatos! More food! Way too much to list, but bread is now an option. So are sunday roast dinners. YUM! Animal Coops and Snares from Valmod added. Clay bowls are back, and used for more than just pretty plants! Craftable Small Engines and Lead Batteries! 4 new guns! P225 Pistol, AR-15 Automatic Rifle, Winchester Rifle and CAWS Automatic Shotgun. Gun crafting! Gun parts are back and require the rare, find-only Lathe to be crafted. Arrows can now use cloth fragments instead of feathers. Sticks and Sharp Stones have also made a return! Sterile Bandage! New healing item to fill the void between normal Bandages and First Aid Bandages. Working sinks and ovens! Both types craftable, so pick whichever matches your kitchen. 5 new workstations. The Advanced Forge (required to smelt steel, but no fuel needed! ), the Mortar and Pestle and two workbenches! There is also the rare, loot-only, Lathe! Stone hammer added. Counts as a construction tool. Used only for repairing and upgrading. Lockpicks added! Now you can lockpick all safes and most doors. Steel crossbow added that takes steel, exploding and titanium bolts. Both crossbows can be scoped. Combat axe added. There's also a titanium version. Trader's are no longer protected! Take care of your local business! Larger player-crafted storage (kitchen cabinets, lockable!). Time REMOVED from under the compass and on the map. Added to the trader window (under restock time). Junction box added for invisible wires. Unlocked via electricity perk. Bomber zombies added! These buggers are designed to tear your base to bits. You have been warned! 7 Day hordes re-done (less game stages so difficulty should ramp up faster and ferals appear sooner). Writing Desk, Ink and Quill available! Used together, these halve the cost of creating skill books and class papers. Grass spawns reduced for better performance/easier to see things. Traders now have more basic materials for building. Localization HEAVILY edited to show where items are crafted, including if they can be made in multiple workstations (one will have a reduced resource cost) and what tools may be needed. Hornet from A15 and earlier is back, with it's original sounds and model! Keep an eye out for them in forest biomes. Trader Caitlin has arrived! She has her own POI, her own voice, lives in the wasteland and carries the most powerful items. AnimationSDX added so custom models can all be added, rigged and animated in-game. Plants (not tree's) now REQUIRE water to grow on a farm! They will still spawn in the world with no issues. However, they must have water within 4 blocks of them (any direction, including underneath) otherwise they will die. Water must also be topped up. Quest 1 - Full suit, +1 skill point. Quest 2 - 2 murky water, 2 red meat, +1 skill point. Quest 3 - 2 painkillers, 2 first aid bandages, +1 skill point. Quest 4 - Flashlight and +1 skill point. Quest 5 - 2 painkillers, 2 first aid bandages, +2 skill points. Quest 1 - Cowboy hat, t-shirt, denim pants, cowboy boots. Quest 2 - 2 boiled water, 2 beef rations, +1 Living off the Land perk. Quest 3 - 2 first aid bandage and +1 Sous Chef perk. Quest 4 - No reward. Quest 5 - Blunderbuss, 50 blunderbuss ammo and +1 Sous Chef perk. Quest 6 - Iron Hoe Recipe. Banana, Orange, Coconut and Lime Tree Recipes. Quest 1 - T-shirt, denim pants, worn boots, Cowboy Hat. Quest 2 - 2 boiled water, 2 chicken rations, The Huntsman Perk. Quest 3 - 2 first aid bandage. Quest 4 - Scrap Machete, The Huntsman Perk. Quest 5 - Pipe Rifle, 100 7.62mm Bullets, Stealth Assassin Perk. Quest 6 - No Reward. Quest 1 - T-shirt, brown denim pants, worn boots, mining helmet. Quest 2 - 2 boiled water, 2 beef rations, Hammer and Forge Perk. Quest 4 - Hammer and Forge Perk. Quest 5 - Hammer and Forge Perk. Quest 6 - Nailgun item. Titanium frame recipes for building bases. Titanium bar recipes (normal and centred). Quest 1 - ZU Football T-Shirt, Overalls, Ball Cap, Worn Boots. Quest 2 - 2 first aid bandage, Salvage Operations Perk. Quest 3 - Wrench Item, Salvage Operations Perk. Quest 4 - 2 boiled water, 2 chicken rations. Quest 5 - Salvage Operations Perk. Quest 1 - White jacket, t-shirt, suit pants, suit shoes. Quest 2 - Physician Perk. Quest 3 - 2 boiled water, 2 chicken rations, Self Medicated Perk. Quest 4 - Scrap Machete Item. Quest 5 - Physician Perk. Quest 1 - Army shirt, army pants, worn boots, ball cap. Quest 2 - 2 boiled water, 2 chicken rations, Pain Tolerance Perk. Quest 3 - Pipe Pistol, 100 9mm bullets. Quest 4 - Flurry of Blows Perk. Quest 5 - Pain Tolerance Perk. Quest 6 - +1 skill point. M4A1 and all parts Recipes. Quest 1 - T-Shirt, army pants, cowboy boots, cowboy hat. Quest 2 - 2 murky water, 2 chicken rations, all leather armour recipes. Quest 3 - 2 first aid bandage, 2 painkillers, +1 skill point. Quest 5 - Scrap Fireaxe, Pickaxe and Shovel recipes. Quest 6 - Watch Recipe. Last edited by KhaineGB; 02-15-2019 at 06:51 PM. 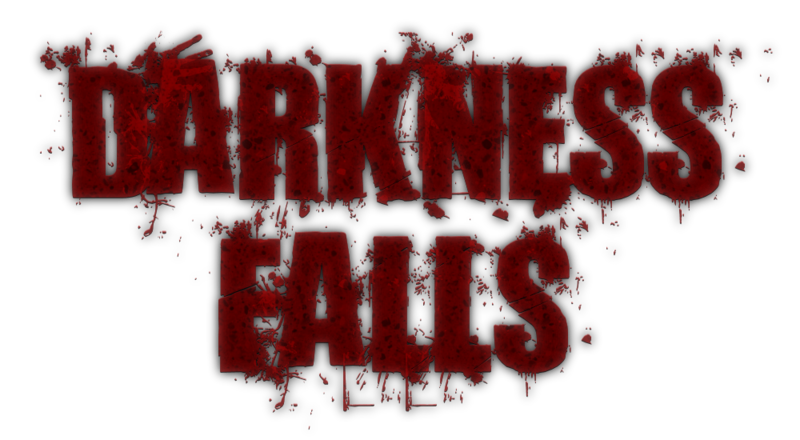 Darkness Falls is a total overhaul mod, which means I have changed large amounts of the XML files on a permanent basis. Not all modlets will be compatible, therefore I thought it might be a good idea to start a list of ones that do work. USING MODLETS NOT ON THIS LIST MEANS I CANNOT OFFER YOU SUPPORT. "Read" function doesn't work on some books. Put it in your toolbar and left click. Then it'll work. Food/Water don't display correctly. Anything over 100 doesn't seem to work, so bear that in mind. Coilsniper currently has the wrong icon, cos I'm lazy and haven't made a new one yet. Both versions are now available on the mod launcher! Also available on the mod launcher! Need a server? Check the "Buy Me A Coffee" section for an affiliate link for Bluefang Solutions! They'll even install the mod for you at the time of ordering and handle any updates. Make a copy of your 7 Days to Die folder first!!! Download the zip file at the link above. Unzip the 7DaysToDie_Data, Data and Mods folder to your 7 Days to Die folder and overwrite when prompted. The mod uses SDX so all 3 folders (and their contents) are needed or you'll have problems. Same for the server files, except in this case it will be 7DaysToDieServer_Data, Data and Mods. Installation Instructions for macOS users. IMPORTANT NOTE: I do not have a mac. This is a guide I found for Starvation Mod and Ravenhearst, but it also works on War of the Walkers so it should be fine here. 1) Uninstall 7dtd. Open Finder, from taskbar choose Go -> Home. Open Library -> Application Support -> Steam -> steamapps -> common. Delete 7 Days to Die folder. Reinstall 7 Days to Die. 2) Unzip downloaded mod. Open unzipped folder. You should see 3 folders: 7DaysToDie_Data, Data, and Mods. I will be referring to this as a “home screen”. 3) Open Steam. In your games Library, right-click 7 Days to Die and choose Properties from the drop-down menu. Choose the LOCAL FILES tab and choose BROWSE LOCAL FILES. 4) Copy & paste (do not drag-and-drop) the Mods folder to this location. 5) Open 7DaysToDie_Data -> Managed. 6) Right-click 7DaysToDie.app and choose Show Package Contents. Here you should see 2 folders: Contents and Data. This will be the other “home screen”. 7) Open Contents -> Resources -> Data -> Managed. 8) Copy & paste (do not drag-and-drop) the .dll files into this location. Mac OSX will ask if you want to keep both or replace. Choose replace. 9) Navigate back to each home screen. 10) Drag-and-drop the 7DaysToDie_Data and Mods folders into this location. 11) Open the Data folders in each location. You will see there are Config, Prefabs, and UMATextures folders in each. 12) For each of these three folders, open up its corresponding folder so you can see the contents. Drag-and-drop the mod’s contents into its respective folder. For duplicate files, mac OSX will ask if you want to Skip, Stop, or Replace. Check the “Apply to All” checkbox, then choose Replace. There's been more than just my wife and personal friends nagging me to add ways to donate to the mod, so here's a few different ways to do so that will keep me happily stocked up on coffee while I poke the XML. Bluefang Solutions provide the mod pre-installed for you (if selected on ordering) and this link gives me a cut of however much you pay! Paypal for those who just want to make a one-off donation. Patreon for the insane folks who want to contribute on a monthly basis. Donations/Monetary support are never expected or encouraged. No-one will be getting preferential treatment for dedciding they want to support the mod in this manner. My personal suggestion, if you want to do so, is to go the Bluefang route if you're thinking of ordering a server. It helps out them AND me at the same time, so win/win? Last edited by KhaineGB; 4 Weeks Ago at 05:11 AM. Any XML as this is originally property of TFP and I have simply expanded upon it. Research Desk - From the SDX tool. Mortar and Pestle - Kindly provided by Xyth. Tailoring Workstation - Kindly provided by Xyth. Combat Axe - Available for free on the Unity store. Water Barrel - Available for free on the Unity store. Tomato Plant + Tomato - Available for free online and legally. Hand Grenade - Available for free online and legally. Original Behemoth - Property of TFP. Frostbitten Worker - Property of TFP. Female Lab Zombie - Property of TFP. Health/Stamina/Food/Water bars - Property of TFP. Item Icons - Either provided for use by Valmar on these forums, icons from previous alphas or icons altered by me. Any of the "Sci Fi" stuff, like doors, desks, etc. Laser Rifle, Pistol, Sword and new tool. Female Voice Lines for Bandit. Female Voice Lines for Caitlin. Permission will never be granted to use items in the "not available for use" list due to EULA's, so please don't ask! All of them are available on the Unity store and I am happy to provide links to the various store items if people want them (and if they are still available). Any mods found using those assets will be repoted to the moderators. You have been warned. Last edited by KhaineGB; 10-22-2018 at 06:43 PM. Sounds promising, kinda like a True Survival/Dying Lands hybrid! Will give it a go, thanks for this! I've actually never played either of those, but want to at some point All my experience with mods has been Valmod, WotW, Starvation and Ravenhearst! Gave it a bit of a test run earlier today. Didn't make it past noon of day 1. Got lit up by 3 gun toting bandits in the scrub/savannah biome, I never saw them. They saw me. Slaughtered. Also, i'm not sure when the class choice is supposed to be available? But I did the initial 2-part short tutorial, then it chained into the Find the Trader mission. Given where I was, that was going to be impossible As it gave me one some 1.5 or so KM away. There were no items, no book to trigger the class selections etc. Initial class selection and bandit spawning / frequency seem like they need to be looked into and tweaked. I'm all for a challenge, but this was overkill. The Bandits are so damn hard, and the class thing don't work after i found the trader. Ok, will look into the bandit spawning. They're being a bit of a pain right now, because I already lowered their probability once, and then lowered it even more for the gun ones. When you get to the trader, you should get a class book in your inventory, so make sure you have room. I am sure that at some point Sphereii will be summoned from the abyss to do so. In the meantime, you can download the mod and point the mod launcher at the folder that contains the download using 'Add New My Mods'. This -usually- works. Thanks for answering that, because I honestly had no idea on how getting mods added to the mod launcher actually works. Like you increased default vanilla level cap 200 to eeeh 200? Okay, that's odd. The file I was editing said the level cap was 100. I think I need to adjust skill point gain again. Quick patch to fix the bandit issue. I've reduced the chance of the gun-bandits spawning, reduced the speed a little so you actually have a chance to outrun the melee ones, and given them a hit point bump to compensate. Basically think of them as being slow due to armour, but that means they can absorb more damage. I'm currently looking into the class book issue. It worked fine for me in testing, but I have a theory. I released the patch for the bandits separate because it makes the download size really small just in-case anyone has any data cap issues.